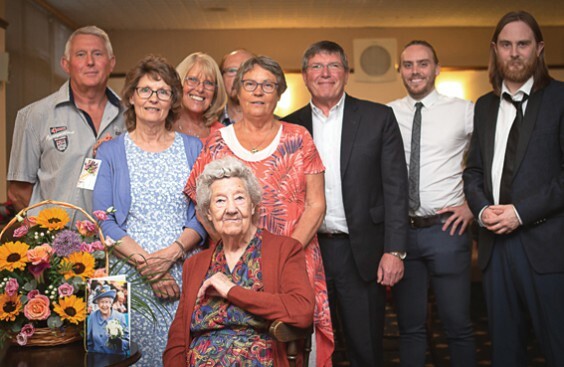 Family and friends gathered at Alvechurch Sports & Social Club to help Vera Palmer, a long-time resident of Alvechurch, celebrate reaching her 100th birthday. Born in London, Vera has had an interesting life. During the Second World War she worked as a “clippie” on the London buses before marrying a soldier and travelling the world, living in places such as Germany and North Africa. On returning to the UK, Vera’s first home was in Dorset, before heading to the Midlands. She ran Rednal Social Club with her late husband, and eventually moved to Alvechurch upon retirement in 1972. Vera puts her longevity down to good genes and hard work: “My sister was 103 when she passed away. I like to do as much as I can to look after myself. It keeps me going,” she said.